Energy policy and the future of various pipeline projects (such as Energy East, Kinder Morgan, Northern Gateway and the more well-known Keystone XL) will be top issues in British Columbia and Alberta. Economic growth and a new provincial pension program will be more important in Ontario. Sovereignty and independence will, as usual, play a role in Québec — though not, perhaps, as much in recent years. In reality, the battle lines of the current election have been drawing since April 2013, when the struggling center-left Liberal Party, thrust into third place in the 2011 elections, chose Justin Trudeau — the son of former Liberal prime minister Pierre Trudeau of the 1970s and 1980s — as its fifth leader in a decade. Trudeau’s selection immediately pulled the Liberals back into first place in polls, as Liberals believed his pedigree, energy and sometimes bold positions (Trudeau backs the full legalization of marijuana use, for example) would restore their electoral fortunes. Nevertheless, polls suggest* that two years of sniping from Harper about Trudeau’s youth and inexperience have taken their tool. The race today is a three-way tie and, since the late spring, it’s the progressive New Democratic Party (NDP) that now claims the highest support, boosted from the NDP’s landslide upset in Alberta’s May provincial election. (*Éric Grenier, the self-styled Nate Silver of Canadian numbers-crunching, is running the CBC poll tracker in the 2015 election, but his ThreeHundredEight is an indispensable resource). Canadian government feels more British than American, in large part because its break with Great Britain was due more to evolution than revolution. Nevertheless, political campaigns have become more presidential-style in recent years, and the latest iteration of the Conservative Party (merged into existence in 2003) is imbued with a much more social conservative ethos than the older Progressive Conservative Party. The fact that a left-of-center third party, the New Democratic Party (NDP) currently lead polls demonstrates, too, that the Canadian electorate, which benefits from a single-payer health care system, is willing to shift more leftward than typical American electorates. Here’s a look at the parties, the personalities, the issues and the key battlegrounds across Canada. Taking advantage of the NDP’s historic 2011 surge and the corresponding Liberal slump, Harper surprised everyone by winning an absolute majority in the last election. In 2015, however, fewer people are willing to bet he’ll repeat that trick — and, in fact, no one is predicting that any party today seems likely to win a majority government. Despite the fact that Harper comes from Calgary and from the western prairie wing of the Conservative Party (formerly the old Reform Party/Canadian Alliance), he’s avoided significant controversy over social issues. In 2006, Harper began phasing in a cut in the goods and services tax from 7% to 5%, and he has consistently championed small tax credits for families and for the middle class while prioritizing budget discipline, a tradition that began under the Liberal governments of the 1990s and early 2000s. Critics argue that under Harper, Canada has become too reliant on oil, gas and other commodities and that the country is no longer a leading voice on international efforts to reduce carbon emissions. There’s no doubt that another Tory government would be far kinder to energy interests than any of the alternatives. Although Harper has outlasted so many of his potential rivals, including defense minister Peter MacKay and foreign minister Peter Baird (neither of whom are running in 2015) and Jim Prentice (whose return to Albertan politics collapsed in May), attention will almost certainly turn to Harper’s successor no matter who wins in October. To win, Harper will need to rally voters in traditional prairie west heartlands like Alberta — once a Conservative heartland but these days increasingly open to the NDP, especially in Edmonton and Calgary. He will also need to continue to dominate Ontario, which will elect 121 MPs. To that end, Harper has picked fights with Wynne, the increasingly unpopular Liberal premier of Ontario, and he opposes her provincial pension plan to supplement federal retirement for middle-class workers. In 2011, the Tories won 73 ridings to just 22 for the NDP and 11 for the Liberals; they will be hard-pressed to repeat in 2015. Above all, the Tories will need to convince wary Canadians to stay the course with Harper’s center-right, energy-friendly, fiscal conservative approach to economic policy in what could be the second recession in the Harper era. Justin Trudeau: Rising Liberal son? 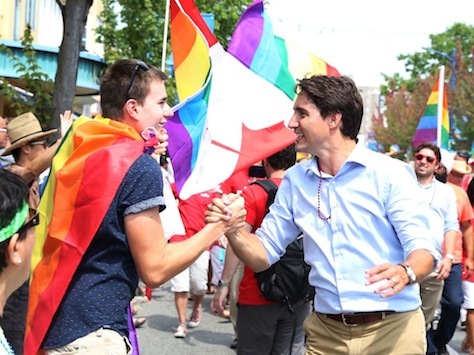 Before his election as Liberal leader in 2013, Trudeau was famous for being… a Trudeau. He’s the son of Pierre Trudeau, a Liberal stalwart of the turbulent 1960s and 1970s when Canada and Québec were hashing out the lines of constitutional battle. He rose to national prominence when he delivered a euology for his father in 2000, and he was only elected to the House of Commons (from the Montreal-based riding of Papineau) in 2008. Since prime minister Paul Martin lost power in 2006, the Liberals (who governed for 69 years in the 20th century) have flipped through leader after leader, falling ever more in the esteem of the electorate. The soft-spoken former environmental minister Stéphane Dion failed in 2008, even after a short-lived coup that would have seen a Liberal-NDP-Bloc coalition install him as prime minister. The professorial Harvard academic Michael Ignatieff failed spectacularly in the 2011 election to gain traction. His interim successor, Bob Rae (a former NDP premier of Ontario), guided the party for two years until the Trudeau coronation. The excitement around Trudeau, however, has slowly ebbed as Harper increased attacks on him as untested and unready for the premiership. At age 43, Trudeau passes for nearly a decade younger, and that sometimes make him seem like a plucky youngster aiming for student body president, not the leadership of a G7 economy. While Trudeau initially received quite a bit of criticism that he had no real policies, he has slowly staked out some bold positions. His plan to increase income tax rates on Canada’s wealthiest (in exchange for tax cuts for the middle class) is more progressive than even the NDP’s platform on personal taxes. More than any other major party, Trudeau’s Liberals have openly called for the full legalization of marijuana. Nevertheless, Trudeau’s decision to support the Harper government’s enactment of Bill C-51 (the Anti-Terrorism Act), a response, in part, to last year’s Ottawa shooting, angered even Liberals. Canadian critics have likened the law to the USA PATRIOT Act, and Trudeau’s support stirred disappointment among proponents of wider civil liberties. Though it’s too soon to write off the Liberals, it’s hard to see where the party would go (to say nothing of Trudeau) if it once again finishes in third place — though it’s conceivable that it could play a junior role in an NDP-led government. To win, Trudeau has to mobilize both younger voters who are weary of nearly a decade of Harper-led Conservative rule and older voters who fondly remember his father. The problem is that many younger voters seem to prefer Mulcair and his father retired from active politics in 1984. The Liberals still dominate Atlantic Canada, though the region is the country’s poorest and holds the fewest seats. The Liberal path to victory lies in edging out plurality victories in as many Ontario (and especially Toronto) ridings as possible, picking off seats from the NDP in Québec, British Columbia, Alberta and Manitoba where they can. In 2011, the NDP’s captivating, socially progressive leader Jack Layton managed to pull off the party’s best election result ever, in large part due to its success in Québec. Supplanting the pro-independence Bloc québécois, the NDP stunningly captured 59 out of 75 ridings. Unfortunately for the NDP, Layton, having become the official leader of the opposition, died from cancer shortly thereafter. The party turned the following year to Thomas Mulcair, who had only recently made the jump from the provincial politics of Québec, where he once served as the province’s environmental minister. As Canadians started to give the Liberals a fresh ear under Trudeau’s new leadership, the NDP sank to their familiar spot in third place in the polls. An almost-certain victory in British Columbia’s 2013 provincial elections turned into a nightmare rout, and Wynne’s Liberal victory dashed early hopes that the Ontario NDP leader Andrea Horwath would win that province’s 2014 assembly elections. Throughout the early, difficult years of Mulcair’s tenure, though, the party maintained its support in Québec, and it leads polls there today by a wide margin. Despite an inexperienced group of MPs, none of the NDP’s new parliamentarians greatly embarrassed the party. Mulcair, gently smoothing over his rougher, angrier tone, now projects a plausible avuncular, center-left alternative. 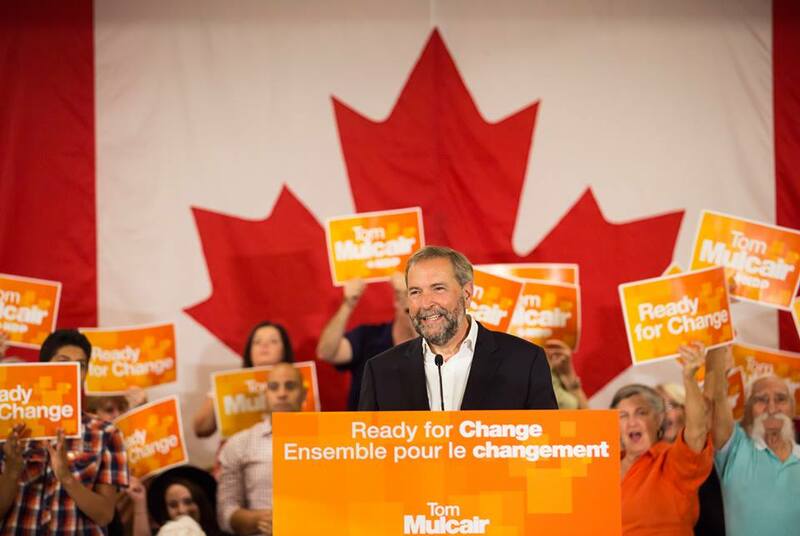 Unlike Trudeau, it’s not difficult to imagine Mulcair as prime minister. When Rachel Notley won Alberta’s May provincial elections, however, ending 44 years of consecutive Tory rule there, it forced voters to consider whether the NDP could repeat the victory at the federal level. With doubts about both Harper and Trudeau, voters now seem to like the idea of yet another orange wave. In the meanwhile, Mulcair (more smiling than scowling these days) moderated his party’s more leftist edges. Mulcair, for example, has pledged not to raise personal income tax rates (though he wants to increase corporate tax rates), and he’s at least tried to demonstrate that he can balance the interests of the energy industry and environmental activists. Though the NDP has a proud heritage — its predecessor, the CCF, pushed Saskatchewan and then Canada toward national health care reform — it’s never governed at the federal level. An NDP government would be much less hawkish than either a Harper or Trudeau government, and Mulcair doubts the wisdom of Canadian intervention in the Middle East to attack ISIS/Islamic State. Opposition to Keystone XL, skepticism about the Trans Pacific Partnership and military intervention could bring a Mulcair government into friendly disagreement with the United States. All roads to victory lie in Ontario, including the NDP. Mulcair might be able to steal urban seats from the Grits and suburban seats from the Tories — one bright spot is the Spadina-Fort York riding, where Layton’s widow, Olivia Chow, is mounting a comeback for national office after a humiliating third-place finish in last autumn’s Toronto mayoral election. Despite Harper’s attacks, Notley is still enjoying a honeymoon in Alberta, and it’s almost certain that the NDP can pick up seats there and in neighboring British Columbia. In Québec, the NDP is set (for now) to repeat the 2011 ‘orange crush,’ despite the best efforts of the Bloc. One weak spot is Manitoba, where NDP premier Greg Selinger has become very unpopular after reversing a tax pledge in raising the provincial sales tax rate from 7% to 8%. In provincial elections set for April 2016, the NDP is trailing by over 20 points in its bid to win a fifth consecutive mandate. That anger could spill into the October federal elections, though the NDP holds just two seats in Manitoba. 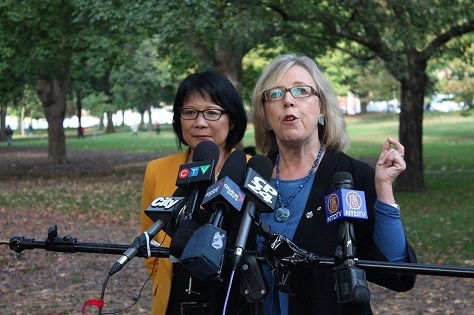 An articulate advocate for the green politics of the left, May has served for nine years as the leader of the Green Party of Canada and, since 2011, she has been its sole MP (from the Vancouver-based riding of Saanich—Gulf Islands). May hopes to win another seat or two for the Greens in 2015, but her party’s biggest role might be to peel away Liberal or NDP votes, especially in British Columbia. Under Canada’s first-past-the-post electoral system, that could split enough voters from either Liberal or NDP candidates to allow Conservatives to win more ridings. 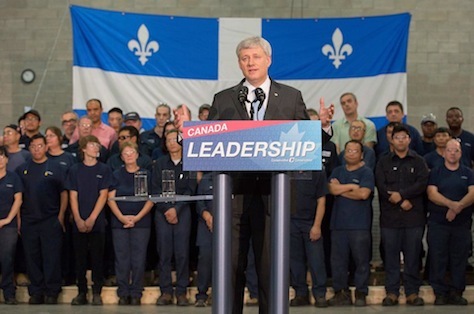 Gilles Duceppe: The last gasp of the separatists? The NDP’s 2011 election wave wiped the Bloc out, and its representation fell from 47 to just four seats — the first time that a federalist party won anything close to a majority in a Canadian federal election in Québec since 1990. 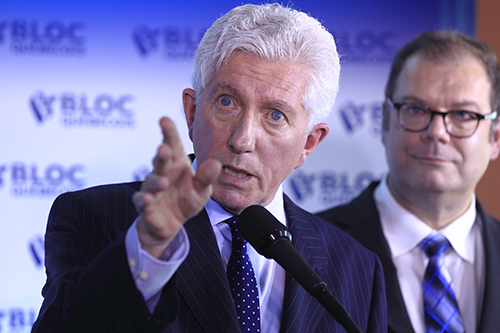 The Bloc‘s leader, the relatively popular Gilles Duceppe, resigned immediately. Politics have only become more difficult for the separatist movement in the intervening four years. The Bloc‘s sister party, the Parti québécois (PQ), managed to cobble together a minority government in September 2012 under Pauline Marois, mostly a reaction against the long-serving government of Liberal premier Jean Charest. Marois’s emphasis on bolstering French-language laws and promoting a racially and religiously divisive ‘charter of human rights and freedoms,’ however, combined with a snap election focused on yet another independence referendum, restored the Parti libéral du Québec (PLQ, Liberal Party of Québec) to power under former health minister Philippe Couillard. While the PQ attempts to rebuild itself under its new leader, avowed separatist and media tycoon Pierre Karl Péladeau, the Bloc elected its own hardline leader Mario Beaulieu in 2014. Suffering from the defections of two of its four MPs and reeling from the loss of federal party funding, the hapless Beaulieu resigned in July after barely a year as the Bloc‘s leader. The 68-year-old Duceppe returned to the helm immediately, with Beaulieu’s blessing, and it gives the Bloc its best chance to win back some of the voters it lost in 2011. But it’s now been eight years since Duceppe dominated provincial politics and, during that time, demographic shifts have made the politics of separatism much more difficult. Young, English-speaking Québec voters don’t see independence as a cultural imperative; recent immigrants, for whom neither English nor French is a first language, view federalism as a blanket of protection for the freedoms of expression and religion. Will Canada have a recession election? 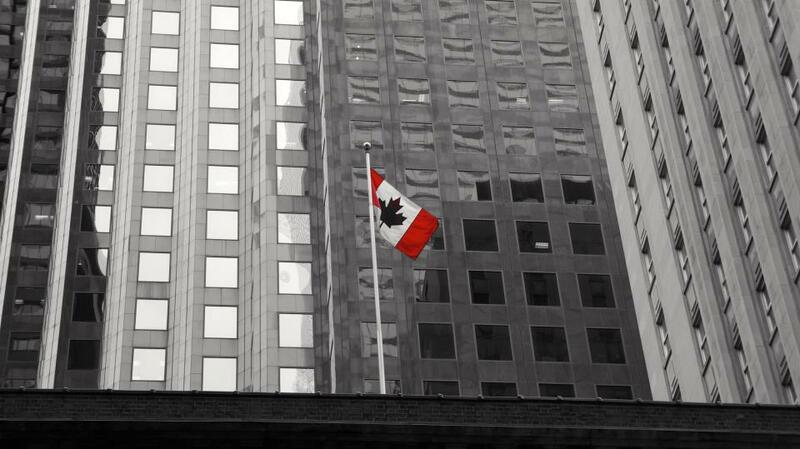 Could the United States and Canada effect a national merger? Nova Scotia Liberal landslide an omen for federal Canadian politics? Great post! Justin Trudeu is the best thing that happened to Canada in recent times!